Askerne is a single estate winery. We are committed to producing elegant fine wines that reflect our unique site and our winemaking philosophy and passion. The Askerne vineyard and winery was developed by John and Kathryn Loughlin in 1993. Initially purchased as 28 acres of bare river terraces, the property has been expanded to 50 acres. We aspire to produce wines which complement food but are vibrant and exciting when standing alone. Askerne is named after an old Yorkshire Spa town which was the birth place of Kathryn Loughlin. 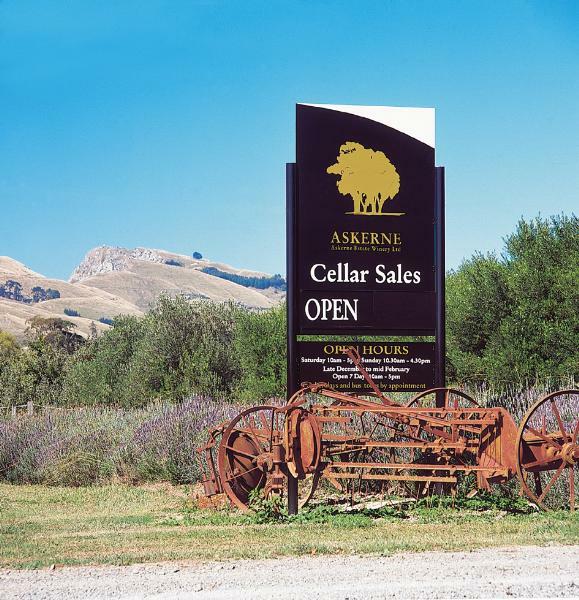 The Askerne cellar door offers a range of wine styles including aromatic whites, reds and luscious dessert wines from this boutique, family owned winery. Our wines display intense varietal aromas and pristine flavours which reflect low cropping levels and attention to detail in the vineyard and winery.